Any excuse to bring tasty beers and food together — count me in. 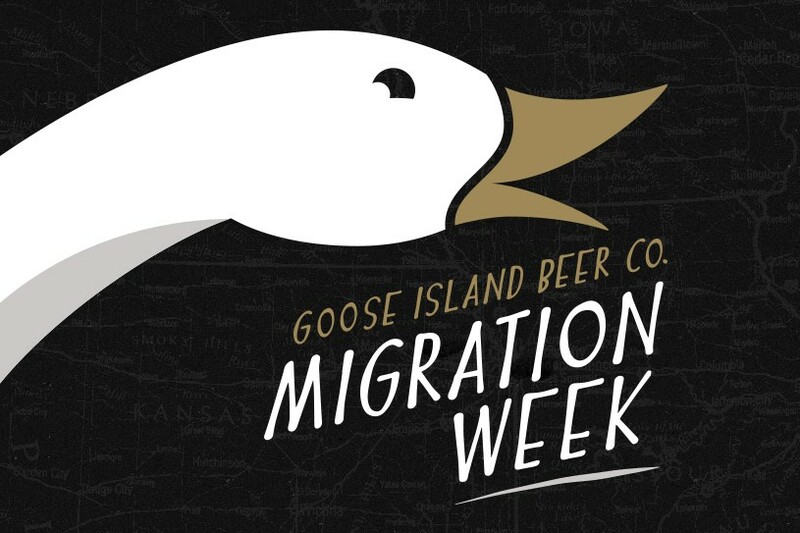 And next week, Spokane has the chance to join in a bunch of activities associated with Goose Island Beer Co.'s "Migration Week" that combine brews and grub. The festivities start on Tuesday night at the Washington Cracker Company building, where the Chefs + Art + Beer throwdown will have four chefs preparing one fat pig into some killer dishes. Two of the chefs are coming with Goose Island from Chicago, Matt Troost and Mitch Cavanah, and they'll be joined by locals Aaron Crumbaugh and Chad White, as well as artwork from Chicago's Mario Gonzalez, Jr. and Spokane's Jess Pierpont. The best part of the deal? It's only $10, and that gets you all the porky goodness and Goose Island beers (including Bourbon County Stout 2015, Bourbon County Stout Proprietors 2014, and Sofie infused with Anvil Coffee Beans) you can stomach. And all the proceeds go to the Make-A-Wish Foundation. The Chefs + Art + Beer event is Tuesday from 6 pm-10 pm, and you can buy tickets right here. Thurs, May 5 — Lunch with a Brewer at the northside Growler Guys, 9329 N. Newport Highway, where you can chat with Goose Island brewer Austin Niestrom from noon-2 pm. Fri, May 6 — Flight School at The Blackbird, 905 Washington, from 5-6 pm, when you can sample a bunch of Goose Island beers and learn about them from Niestrom. Fri, May 6 — Celebration of Beer, also at The Blackbird, where the Goose Island Migration team will be on hand, along with a bunch of Bourbon County Stout, Bourbon County 2014 and Bourbon County Vanilla Rye 2014.